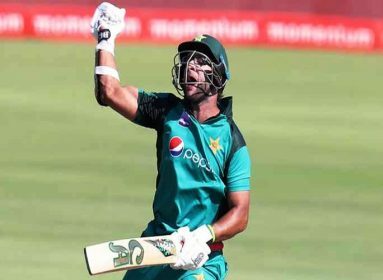 HARARE: Pakistan made a strong comeback against Australia in the fifth match of a tri-series at Harare, beating the strong Aussie side by 45 runs. Opener Zaman smashed a blistering 73 off 42 balls helping his team post a fighting total of 194. Youngster Hassan Talat also scored impressive 30 for 25 balls including a six and three 4s. In lower down the order, Asif Ali provided much-needed thrust to the batting with his 37 off just 18 balls, followed by Shoaib Malik’s 27. Stanlake remained wicket-less in his four overs giving away 30 runs. Of the seven wickets in 20 overs, JA Richardson and Maxwell got one scalp each. While AJ Tye dismissed three batsmen. Australia’s AT Carey was the only batsman who stood out among other players with his 37 runs. The second highest scorer from the Aussies was DJM Short who scored 28 runs. Earlier, Australia captain Aaron Finch won the toss and elected to bowl first. The Aussies named an unchanged XI for a third straight match, having defeated Zimbabwe by 100 runs on Tuesday and Pakistan by nine wickets the day before. 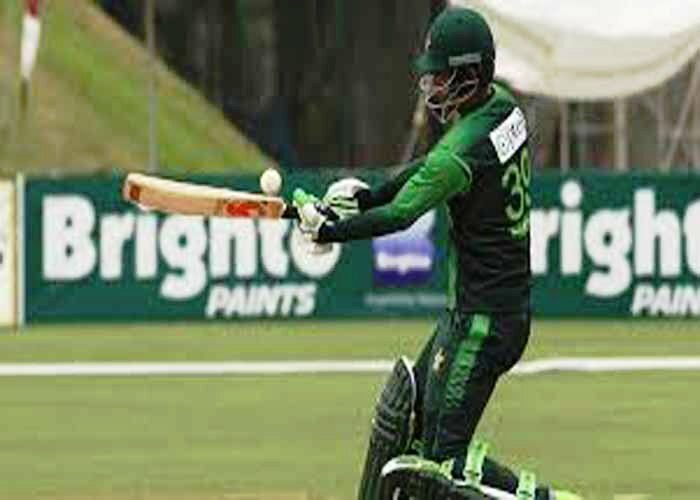 Pakistan’s victory over the home side on Wednesday eliminated Zimbabwe from the week-long tournament, leaving the two visiting teams as the qualifiers for the decider. Despite having qualified for the final, there remains plenty at stake for Australia in their three remaining games. 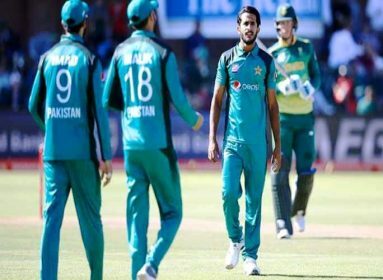 Pakistan have made two changes for the match against Australia, their final group game, dropping quick Hasan Ali and spinner Mohammad Nawaz for paceman Usman Khan and teenage Shaheen Afridi. Australia squad: Aaron Finch (c), Alex Carey (vc), Ashton Agar, Travis Head, Nic Maddinson, Glenn Maxwell, Jhye Richardson, Kane Richardson, D’Arcy Short, Billy Stanlake, Marcus Stoinis, Mitchell Swepson, Andrew Tye, Jack Wildermuth. Zimbabwe squad: Hamilton Masakadza (c), Cephas Zhuwao, Chamu Chibhabha, Brian Chari, Tarisai Musakanda, Malcolm Waller, PJ Moor, Tendai Chisoro, Kyle Jarvis, Brandon Mavuta, Blessing Muzarabani, Chris Mpofu, Ryan Burl, Solomon Mire, Wellington Masakadza, Elton Chigumbura, Ryan Murray.